What’s a healthy diet? Will it appeal to children? 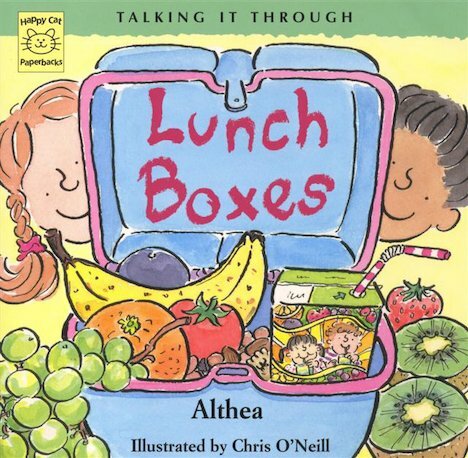 Althea looks into children’s lunch boxes to show us which foods are good for us, and which should be for occasional eating only. We hear about Kate, who is always tired; Rashida, who can’t eat nuts; Anna, who doesn’t like meat – and Tony, who’d rather have crisps! Written using Health Education Authority guidelines, Lunch Boxes offers an upbeat look at food. Using humour and lively illustrations, it takes a refreshingly realistic look at eating, touching on issues including vegetarianism and food allergies.